45-47 Commonwealth are located on the north side of Commonwealth, between Berkeley and Clarendon, with 43 Commonwealth to the east and 49-51 Commonwealth to the west. 45-47 Commonwealth were built ca. 1869, two of four contiguous houses (41-43-45-47 Commonwealth) built at the same time as two symmetrical pairs, and two of ten contiguous houses (29-31-33-35-37-39-41-43-45-47 Commonwealth) built in the same design between 1863 and 1873. 41-47 Commonwealth were built for lumber merchant, real estate investor, and banker Elijah Chesley Drew and his wife, Hannah (Haines) Drew. They made 41 Commonwealth their home and sold the other three houses. Elijah Drew purchased the land for 41-47 Commonwealth on January 22, 1869, from Elizabeth Cabot (Lodge) James, the wife of George Abbot James, and her brother, Henry Cabot Lodge. They had purchased the land on May 3, 1864, from the Commonwealth of Massachusetts. Elizabeth Cabot Lodge had married the month before to George James, and her one-half interest in the property was held by the trust established under her marriage contract. Henry Cabot Lodge, who later would become a US Senator, was still a minor, and his mother, Anna (Cabot) Lodge, the widow of John Ellerton Lodge, was his guardian. On August 4, 1869, 45 Commonwealth was purchased from Elijah Drew by Elmer Townsend, former proprietor of the New England Waxed Thread Sewing Machine Company. He and his wife, Weltha Ann (Beecher) Townsend, made it their home. They previously had lived at the Tremont House hotel. Click here for an index to the deeds for 45 Commonwealth. The Townsends’ son and daughter-in-law, Henry Elmer Townsend and Emilie Wilhelmine (Kaupe) Townsend, lived with them. A physician by training, Henry Townsend was president of the Shoe Machinery Manufacturing Company and later became an investor in patents. Also living with the Townsends at 45 Commonwealth were their unmarried son and daughter, Benjamin Beecher Townsend and Helen Cordelia Townsend. Elmer Townsend died in April of 1871. Weltha Ann Townsend, Henry and Emilie Townsend, Benjamin Townsend, and Helen Townsend continued to live at 45 Commonwealth. On May 15, 1871, the three Townsend children transferred their interests in 45 Commonwealth, inherited from their father, to their mother, as a life interest. Benjamin Townsend traveled abroad in October of 1871 and married in August of 1872, in London, to Anna Sophie Kaupe, the sister of Henry Townsend’s wife, Emilie. Helen Townsend married in April of 1872 to Dr. Theodore F. Breck, a physician. After their marriage, they lived in Springfield. 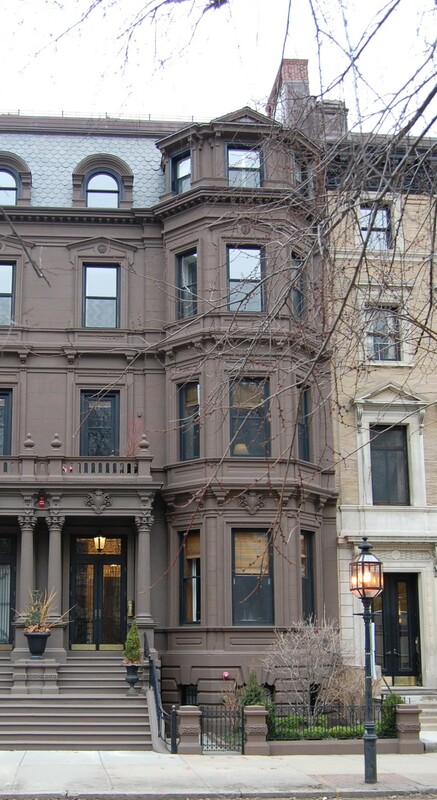 Henry and Emilie Townsend continued to live at 45 Commonwealth until about 1874, when they moved to 299 Beacon. On January 12, 1875, he transferred his interest in 45 Commonwealth to his mother and siblings. By 1875, Weltha Townsend was joined at 45 Commonwealth by her son and daughter-in-law, Benjamin and Annie Sophie (Kaupe) Townsend. They previously had lived in Germany, where their son, Nelson, was born in August of 1873. They moved by 1876 to Jamaica Plain. Weltha Ann Townsend continued to live at 45 Commonwealth until about 1876, after which she moved to Springfield, where she died in December of 1878. When the Townsends purchased 45 Commonwealth from Elijah Drew, they had assumed his mortgage to the City Institution for Savings, and in August of 1874, they had entered into a second mortgage to George Bucklin Clapp of Rockland. On July 30, 1875, George Clapp foreclosed on his mortgage. By the 1876-1877 winter season, 45 Commonwealth was the home of ice dealer Charles Otis Gage and his wife, Charlotte Lapham (Reed) Gage. Their primary residence was in Arlington. They continued to live at 45 Commonwealth during the 1877-1878 season. During the 1878-1879 winter season, it was the home of banker Joseph Norton Fiske and his wife, Charlotte (Morse) Fiske. They previously had lived at 14 Arlington. In July of 1879, they moved to 121 Commonwealth. On September 9, 1879, Francis W. Kittredge, to whom Elijah Drew’s mortgage on 45 Commonwealth had been assigned, foreclosed and sold the house to Zenas Sears. On October 6, 1879, 45 Commonwealth was purchased from Zenas Sears by Charles G. Patterson, a broker. He and his wife, Frances Elizabeth (Kirby) Starr Patterson, made it their home. They previously had lived at the Revere House hotel. In November of 1881. they entered into a second mortgage with George B. Clapp. On March 7, 1882, he foreclosed on the mortgage and on June 6, 1887, Charles Patterson sold his remaining equity interest in 45 Commonwealth to George Clapp. George Clapp and his wife, Vanlora Joanna (Aiken) Clapp, continued to live in Rockland and, since 1881, also maintained a Boston residence at 165 Commonwealth. He was a shoe manufacturer. The Pattersons continued to live at 45 Commonwealth during the 1889-1890 winter season, but moved thereafter. During the 1890-1891 winter season, 45 Commonwealth was the home of George Judson Parker and his wife, Adeline (Nickerson) Parker. He was an oratorio vocalist and music teacher. Adeline Parker’s sister, Priscilla S. Nickerson, lived with them. They previously had lived at 401 West Broadway. By the 1891-1892 season, they had moved to 8 Commonwealth. On November 9, 1891, 45 Commonwealth was purchased from George B. Clapp by real estate dealer Benjamin B. Newhall. He and his wife, Emily Josephine (Fuller) Newhall, lived at 110 Newbury. 45 Commonwealth was not listed in the 1892-1894 Blue Books. When he acquired 45 Commonwealth, Benjamin Newhall entered into a mortgage with George Fordyce Blake, and on December 23, 1893, George Blake foreclosed on the mortgage and took possession of the property. George Blake and his wife, Martha Jane (Skinner) Blake, lived at 196 Commonwealth. He was a manufacturer of brick-making equipment and steam pumps. On March 27, 1894, 45 Commonwealth was purchased from George F. Blake by attorney Samuel Wells. He and his wife, Catherine (Kate) Boott (Gannett) Wells, made it their home. They previously had lived at 423 Boylston. Their unmarried son, Stiles Gannett Wells, lived with them. He was an attorney in his father’s firm. Samuel Wells died in October of 1903 and Stiles Gannett Wells died in February of 1907. Catherine Wells moved soon thereafter to 7 Otis Place. On January 27, 1908, 45 Commonwealth was purchased from Catherine Wells by cotton broker Ellerton Lodge Dorr. He and his wife, Mary Louisa (Stanwood) Dorr, made it their home. They previously had lived at The Tudor (northwest corner of Beacon and Joy). On May 16, 1910, Ellerton Dorr transferred 45 Commonwealth into his wife’s name. Ellerton Dorr died in March of 1913. Mary Dorr continued to live at 45 Commonwealth with their daughters, Mary and Elise Dorr. Mary (Stanwood) Dorr died in January of 1921, and by 1922, her daughters had moved to 235 Marlborough. On January 22, 1923, 45 Commonwealth was acquired from the estate of Mary Dorr by real estate dealer Henry C. Brookings, who entered into a mortgage with the Cape Ann Saving Bank and then transferred the property to John Valentine Dittemore, who assumed the mortgage as part of the acquisition. A former meat packing executive in Indianapolis, John Dittemore had retired in 1908 and moved to Boston to become a leader of the Christian Science Church. After the death of Mary Baker Eddy in December of 1910, he had differed with the Church leadership and affiliated with Mrs. Annie C. Bill in a rival organization, the Christian Science Parent Church of the New Generation. In 1932, he co-authored Mary Baker Eddy: the Truth and the Tradition. John Dittemore subsequently converted 45 Commonwealth into apartments. In May of 1923, he filed an affidavit stating that he would limit the occupancy to three dwelling units with kitchens. He was subsequently cited for having more than three families living in the house, and in 1924 he was granted permission by the Board of Appeal to convert the house into a three-family dwelling and two lodging units (without kitchens). In 1924, while he was remodeling 45 Commonwealth, John Dittemore and his wife, Edith Louise (Bingham) Dittemore, lived at 68 Commonwealth, which they had converted into apartments in about 1922. They continued to live there until the 1924-1925 winter season, when they moved to an apartment at 45 Commonwealth, where they continued to live during the 1927-1928 season. By the 1928-1929 winter season, they had moved to 138 Marlborough. They separated soon thereafter, and at the time of the 1930 US Census, he was living alone in Washington DC. He subsequently moved to New York City, where he died in May of 1937. By 1931, Edith Dittemore was once again living in an apartment at 45 Commonwealth, where she also maintained an office as a Christian Science practitioner. On September 7, 1932, John Dittemore transferred 45 Commonwealth to her. She continued to live there in 1934, but no longer was listed there in the 1935 Blue Book. The property subsequently changed hands, and on January 10, 1949, was acquired by the Paradise Realty Company, owned by real estate dealer Julius Kalman. In March of 1954, Paradise Realty filed for (and subsequently received) permission to convert the property from five apartments to nine apartments. That same month, Julius Kalman’s real estate firms were identified as among the victims of George L. Maitland, who had been indicted for obtaining loans based on fraudulent representations. On February 6, 1956, Julius Kalman committed suicide at his home in Allston. The Boston Globe reported that the suicide was “on the eve of one of the trials growing out of the so-called Maitland loan fraud case” in which he “was to have been a star witness” for the prosecution. On June 5, 1958, 45 Commonwealth was acquired from Julius Kalman’s estate by George J. Colantino and Charles G. Martignette, trustees of the 352 Beacon Realty Trust. The property changed hands and on August 31, 1962, was acquired by Michael J. Smith, Inc., which subsequently became the Wetherfield Corporation. On May 1, 1963, 45 Commonwealth was acquired from the Wetherfield Corporation by Nick Haddad, trustee of the Haddad Realty Trust. He had acquired 47 Commonwealth in June of 1960. He combined the buildings and operated them as a single apartment house. On November 4, 1869, 47 Commonwealth was purchased from Elijah Drew by Mary French (Wood) Blaney, the wife of dry goods merchant Henry Blaney. They previously had lived in Brookline. 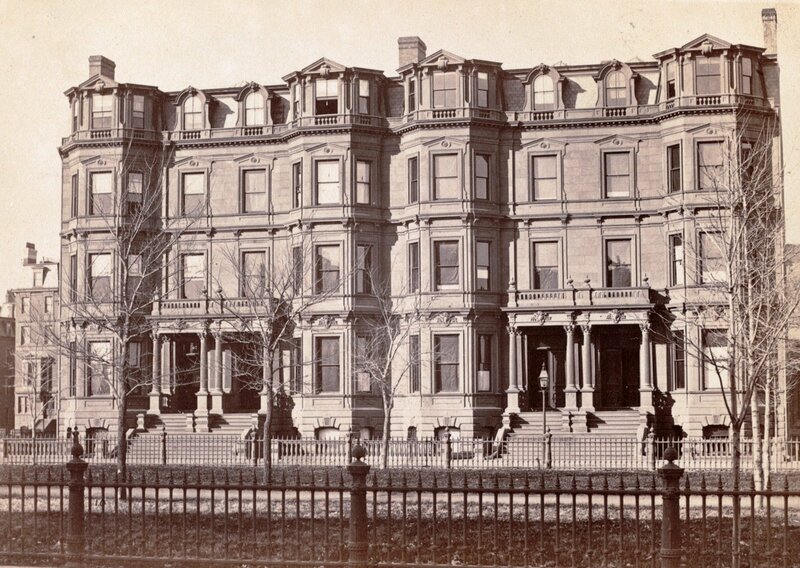 They continued to live at 47 Commonwealth in 1876, but moved thereafter to the Parker House hotel. Click here for an index to the deeds for 47 Commonwealth. When the Blaneys purchased 47 Commonwealth from Elijah Drew, they had assumed his mortgage to the City Institution for Savings and had entered into a second mortgage with William T. Andrews. Both mortgages subsequently were assigned to the Manufacturers Fire and Marine Insurance Company. On July 5, 1876, and September 3, 1877, it foreclosed on the two mortgages and transferred the property to the company’s president, Samuel Gould. On September 3, 1877, 47 Commonwealth was acquired from Samuel Gould by Anna Perkins (Pingree) Peabody, wife of merchant and yachtsman Joseph Peabody. They previously had lived in Salem. In the late 1880s, Joseph and Anna Peabody separated. Anna Peabody continued to live at 47 Commonwealth until her death in March of 1911. In her will, she left the house in trust for the benefit of her niece, Anna Pingree (Wheatland) Phillips of Salem, the wife of attorney Stephen Willard Phillips. She was the daughter of Stephen Wheatland and Ann Maria (Pingree) Wheatland, the sister of Anna Perkins (Pingree) Peabody (David Pingree and his wife, Ann Maria (Kimball) Pingree, had daughters named Anna Perkins Pingree and Ann Maria Pingree). The house was not listed in the 1911-1915 Blue Books. By the 1915-1916 winter season, 47 Commonwealth was leased from Anna Phillips by Dr. John Thornton Bullard, a retired physician, and his wife, Emily Morgan (Rotch) Bullard. They previously had lived at 288 Beacon. The Bullards continued to live at 47 Commonwealth in 1924, but by 1925 had moved to New Bedford, where he had maintained his medical practice until his retirement in about 1911. 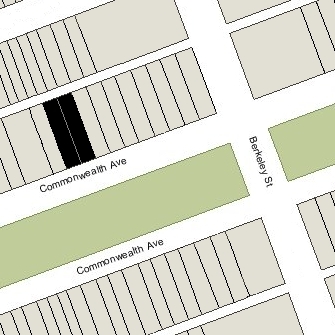 47 Commonwealth was not listed in the 1926-1937 Blue Books, and was shown as vacant in the 1930-1942 City Directories. Anna Phillips died in October of 1938 and 45 Commonwealth was inherited by her son, Stephen Phillips. On February 5, 1942, 47 Commonwealth was purchased from Stephen Phillips by by William Karmazine, trustee of the Esdith Realty Trust. William Karmazine was president of the Commercial Finance Service Corporation, and treasurer of the Home Loan Co., Inc. He and his wife, Edna (Nurenberg) Karmazine, lived in Chestnut Hill. He had established the Esdith Realty Trust to hold property for the benefit of his two daughters, Esther Reece Karmazine and Judith Shaefer Karmazine. and his niece, Enid Esta Karmazine, daughter of his brother, Nathan Karmazine and his wife, Mae (Lipsher) Karmazine. In August of 1942, he filed for (and subsequently received) permission to convert 47 Commonwealth into lodging house. On March 5, 1953, 47 Commonwealth was purchased from William Karmazine by Paul Giuliana and Marsden Lore. They continued to operate it as a lodging house. The property changed hands and on June 1, 1960, was acquired by Nick Haddad, trustee of the Haddad Realty Trust. In December of 1961, Nick Haddad applied for permission to convert 47 Commonwealth from a lodging house to ten apartments. In March of 1962 modified his plans to, instead, install a new floor, between the fourth floor and the roof (without adding to the height of the building), and increase the number of apartments from ten to twelve units. Plans for the remodeling — designed by architect Leon Furr — are included in the City of Boston Blueprints Collection in the Boston Public Library’s Arts Department (reference BIN R-241). In February of 1963, Nick Haddad amended the plans once again, and received approval to build a fifth floor penthouse on the building. In May of 1963, Nick Haddad acquired 45 Commonwealth. He combined the buildings and operated them as a single apartment house. After acquiring 45 Commonwealth, Nick Haddad built a fifth-floor penthouse on that building, matching the one approved for 47 Commonwealth and increasing the number of apartments at 47 Commonwealth to ten, By March of 1964, he had cut through doors between the two buildings on the third, fourth, and fifth floors. On February 20, 1971, 47 Commonwealth was extensively damaged by a fire that affected the second, third, fourth, and fifth floors and the roof. The damage was repaired, and on September 7, 1974, the building was again damaged by a smaller fire in an apartment on the third floor front of the building. On October 25, 2005, the Nick Haddad Trust transferred 45-47 Commonwealth to Maurice H. Haddad and Samuel C. Sichko, trustees of the Nick N. Haddad Realty Trust-2001. On July 16, 2008, 45-47 Commonwealth were purchased by 45-47 LLC (Matthew Piccione, manager of record). 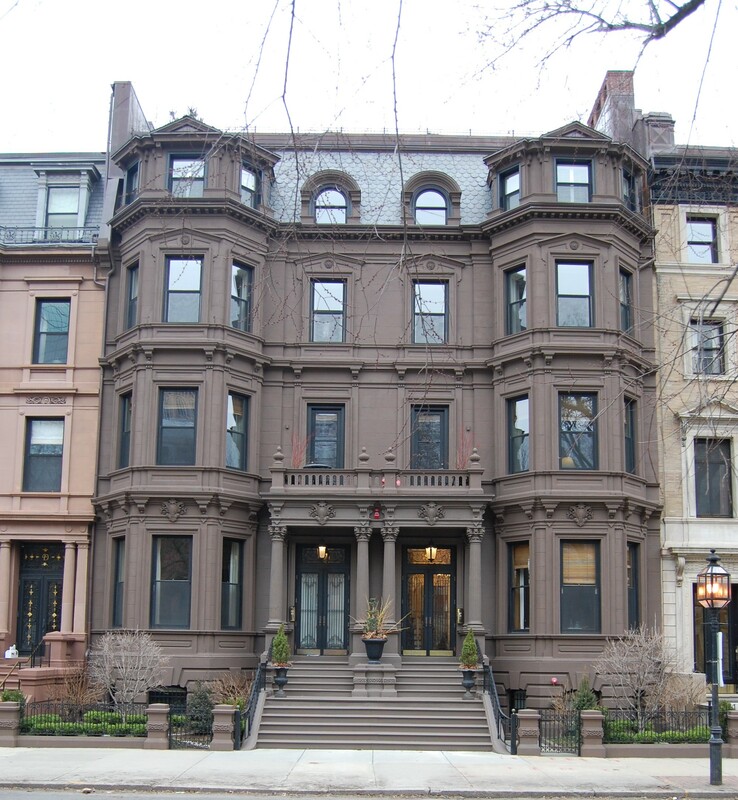 It significantly remodeled and property, including replacing the penthouse and restoring the mansard roof and dormers. The restoration was designed by architect Arthur Choo, Jr. 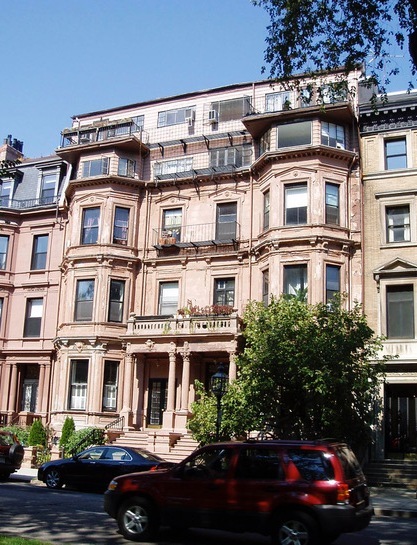 In January of 2011, it converted 45-47 Commonwealth into five condominium units, the 45 Commonwealth Avenue Condominium.